After nearly a day on the road between Port Elizabeth and Cape Town (roughly about 800km and normally an 8 hour drive if you only stop once or twice briefly) one starts to be in a hurry by the time you get to the top of Sir Lowry's Pass just west of Somerset West. The end destination is within reach after all. I like to pull over on top of the pass at the view point for a couple of minutes first before heading down into the rush which is the Cape roads - I'm from Port Elizabeth after all. 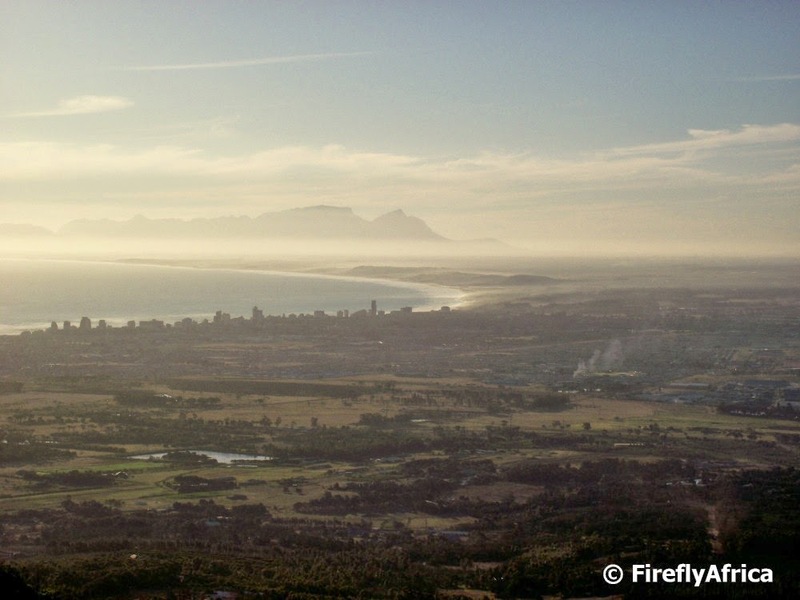 The view from up there is probably one of the most beautiful sights around with the Strand and Somerset West in the foreground, False Bay on the left and Table Mountain in the distance. 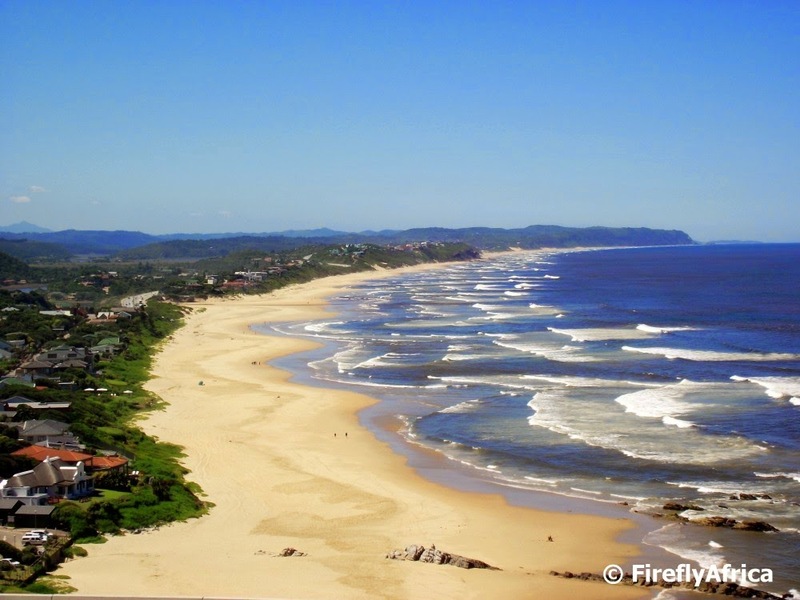 The Garden Route has some stunning scenic view points. Storms River Bridge, Bloukrans Bridge, Natures Valley, Plettenberg Bay looking to Beacon Isle and Robberg, Kranshoek and the Knysna Heads just to name a few. Heck, the Garden Route is one continuous scenic view. Right up there with the best amongst them is the view from Dolphin Point looking east along Wilderness beach. How can one not stand in awe at a sight like this? Dolphin Point also used to be a great spot to watch the Outeniqua Choo Tjoe cross the Kaaimans River when it still ran but the fact that it isn't anymore is no excuse not to stop and marvel at this sight. Random elephant "did you knows"
Random elephant did you knows. 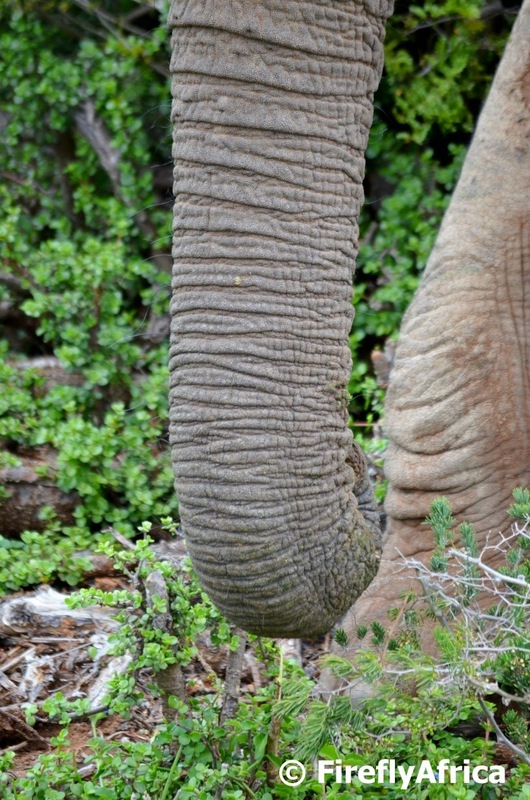 An elephant's trunk, which is a fusion of their nose and upper lip, contains over 100,000 different muscles. African Elephants also have two finger like features on the end of their trunk that they can use to grab small items with. Indian Elephants on the other hand only has one of those "fingers". An elephant can lift up to 350kg with their trunks. 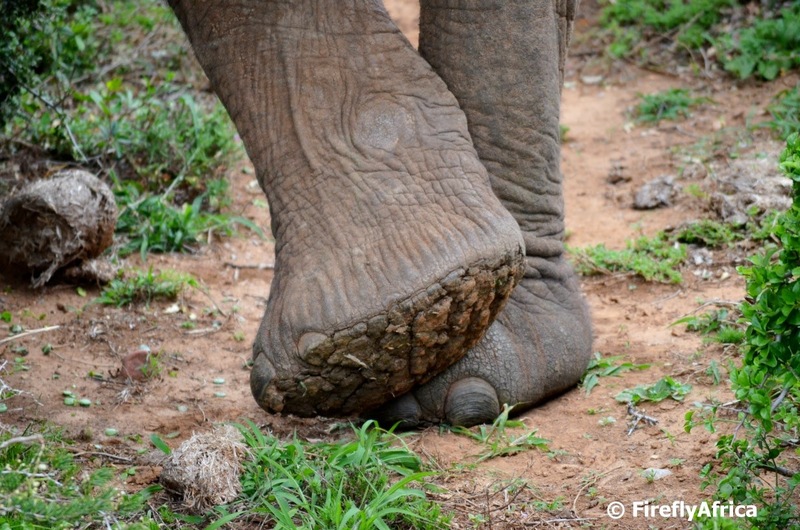 Elephants have circular feet with soft tissues or "cushion pads" beneath the manus and pes. This helps to distribute the weight of the animal. They appear to have an extra "toe" similar in placement to a giant panda's extra "thumb", that also helps with weight distribution. Five toenails can be found on both the front and hind feet. 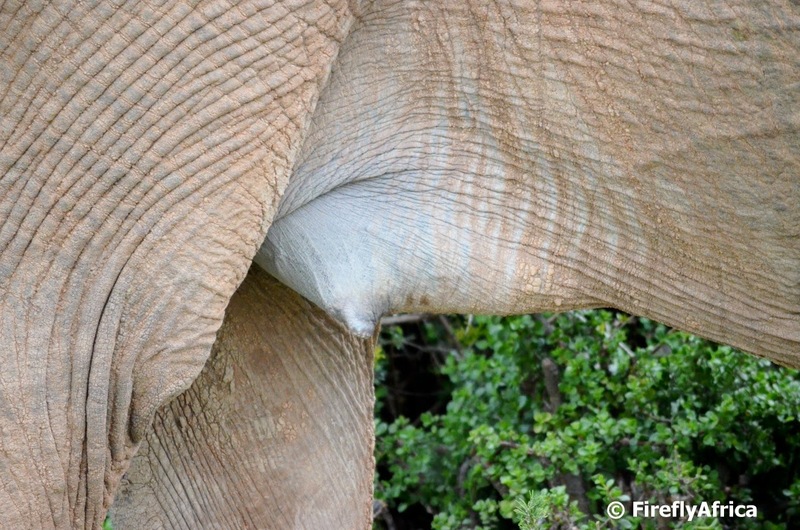 Elephants have their mammary glands situated between their front legs similar to humans and primates and strangely enough, they do look like breasts. Most people driving along the N2 between Cape Town and Mossel Bay only slow down while driving through the Overberg town of Riviersonderend because the speed limit drops to 60 km/hour. Riviersonderend, 140 km east of Cape Town, isn't much more than a farm village with 5 245 (according to the 2011 census) inhabitants. I'm one of those who are guilty of not giving the town any more time than a quick stop for a snack on my way through, but on my last trip to Cape Town I decided to take a couple of minutes out my day and look around. I drove up to a view point behind the town and took in my surroundings, realizing how beautiful the area really is. So where does the name Riviersonderend ("river without end") come from? There are two theories. In 1673 Willem ten Rhyne who was visiting the Cape and came through the area referred to the river, with it's source in the mountains, as the "sine fine flumen" ("river without end"). In 1707 Jan Hatogh, a horticulturist employed by the Dutch East India Company and a seasoned traveller, referred to the river as the "Kanna-kan-kann". It is possible that this word came from the Hessequa (a local Khoi tribe of herdsmen) word "Kamma-kan Kamma" which, roughly translated, means "water, endless water". 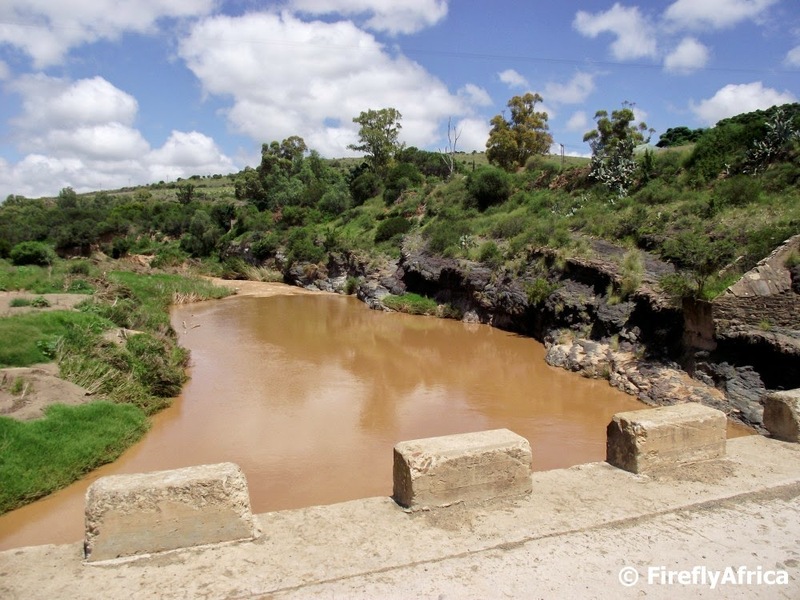 It doesn't really matter which of these two stories are true, what is certain is that the name refers to the perennial Sonderend River at the foot of the Sonderend mountains. The town was had it's origines in 1923 when Miss Edith McIntyre sold the farm Tierhoek for 6000 pounds to the church council of the local Dutch reformed Church when the congregation was established. Some people travel with purpose along the N2 between Cape Town and Port Elizabeth while others take it nice and easy while on holiday. Doesn't matter which one of the two you are one, you always find somewhere to stop, stretch your legs and get something to fill that hollow spot with. I always like to try out new places and saw a Geocacher recommend a spot in Riviersonderend in the Overberg in a cache description. 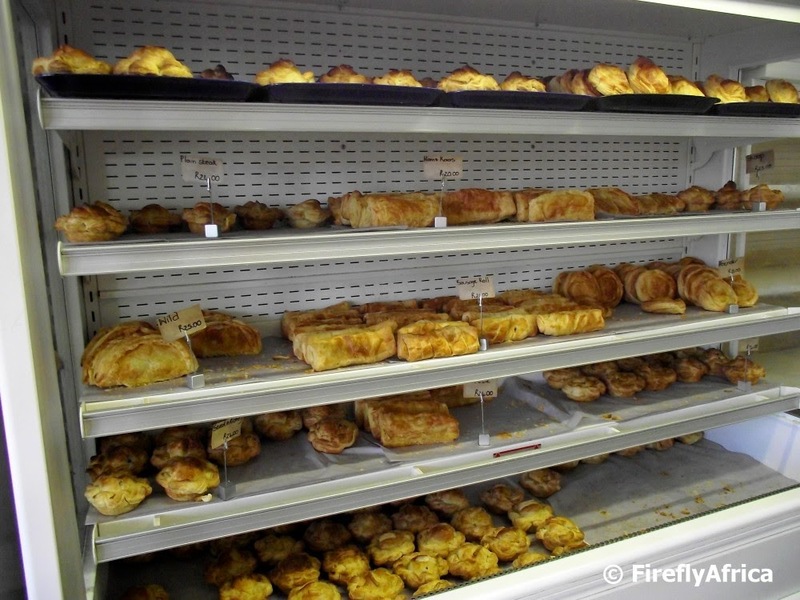 His description included the words "some of the best pies this country has to offer" so returning from Cape Town I found my tummy rumbling as I entered the town of Riversonderend. It was nearly 4pm and I hadn't had lunch yet after all. I looked for the Ou Meul bakery and farm stall and pulled over. 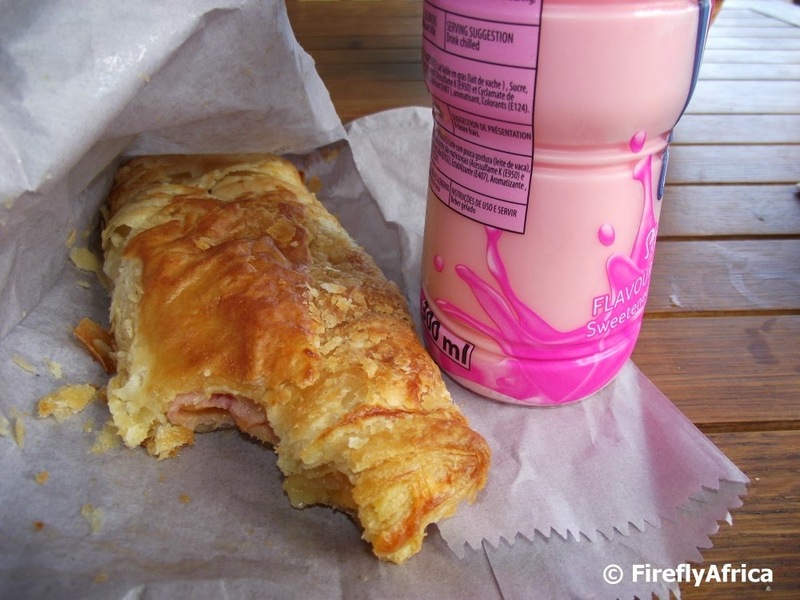 On walking in the pies caught my eye immediately and after long discussions between my tummy and my brain I went for a ham and cheese pie and strawberry milk. Strawberry milk? Yes strawberry milk cause that is what you have with a pie. Even though it was starting to get late and I had a long way to go, I decided to sit down and savour the pie rather than gulp it down on the run while messing crumbs in my car. 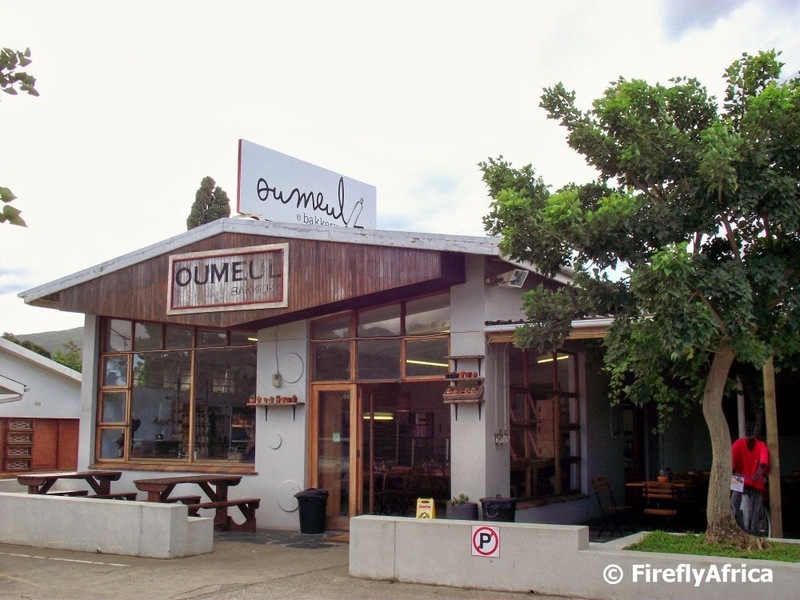 Believe me, the next time I drive through Riviersonderend I will be stopping for an Ou Meul pie again. Back in the old days distance stones were used to indicate to travellers how far they had to go to the next town. These days there aren't a lot of them around and often they are found on old and back roads. But trust Geocaching to take me to one of them on the N10 on a trip to Cradock. 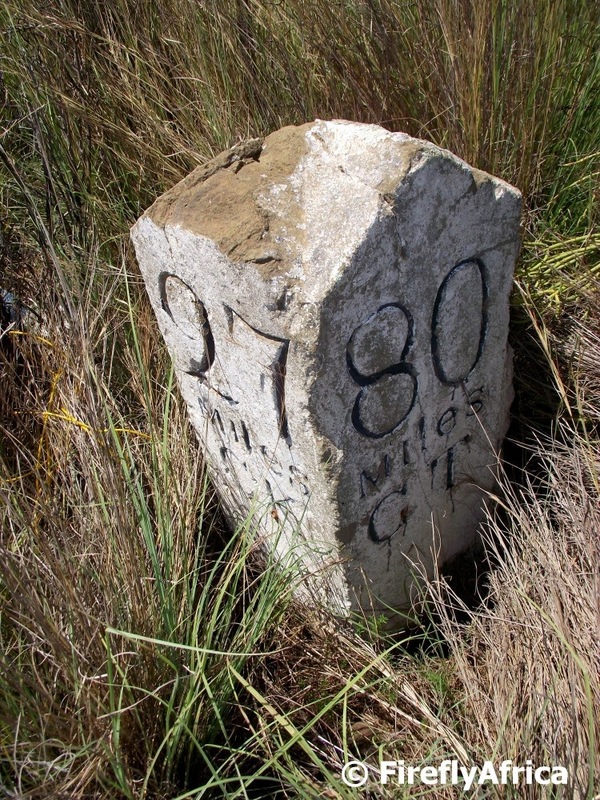 This stone indicates 27 miles to Cradock and 80 miles to Grahamstown. Today is National Human Rights Day in South Africa and the start of silly season as far as public holidays go over the next two months. Lots of long weekends to come which means lots of opportunities for break aways and #shotleft weekend. From the looks of it we are in for a beautiful weekend this weekend and here's hoping that all the others would be the same. Stunning autumn weather is just as good as summer so the PE beachfront is a popular spot today. 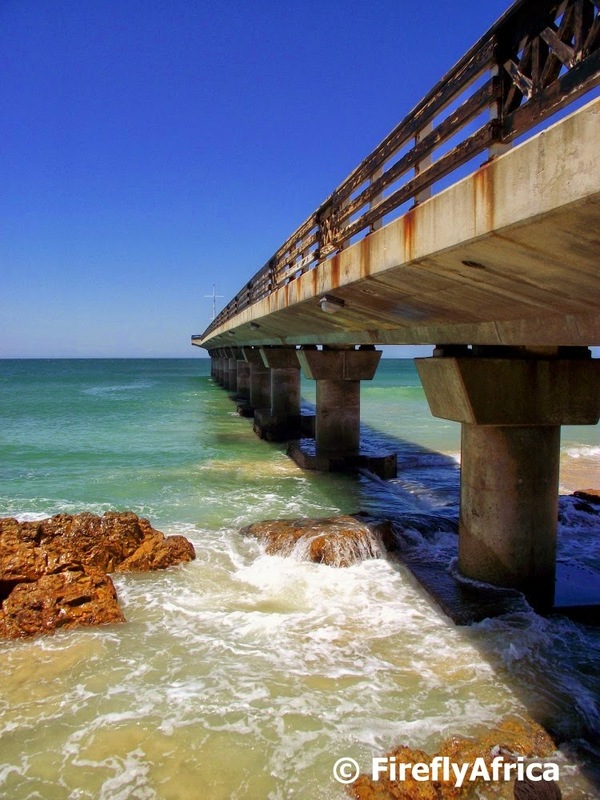 Unfortunately I'm in bed with bronchitis so the pic of Shark Rock Pier at Hobie Beach was taken a week or so ago. 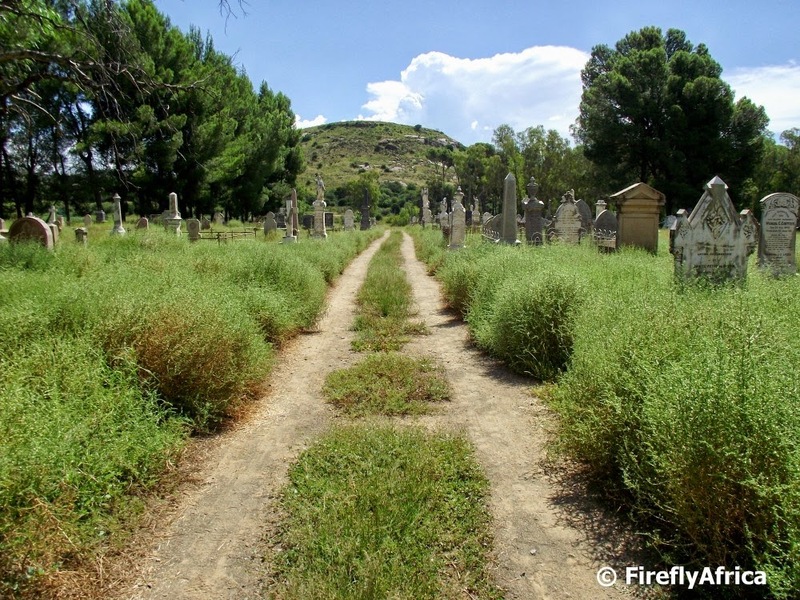 On my last visit to Cradock I went in search of the grave of Harry Potter. Harry Potter, you ask? Well, Cradock's cemetery holds the grave of one Harry Potter who was a ‘beloved husband’ and died on July 27, 1910 at the age of 46. Was he magical? Who knows? I unfortunately didn't find him. I did find this scene of this car track through the grave yard that I especially liked. Since coming back home I have discovered GPS coordinates for his grave and the Geocacher in me will be back to follow the coordinates even if there isn't a cache with a log sheet to sign at ground zero. Harry Potter's grave will be enough of a find. 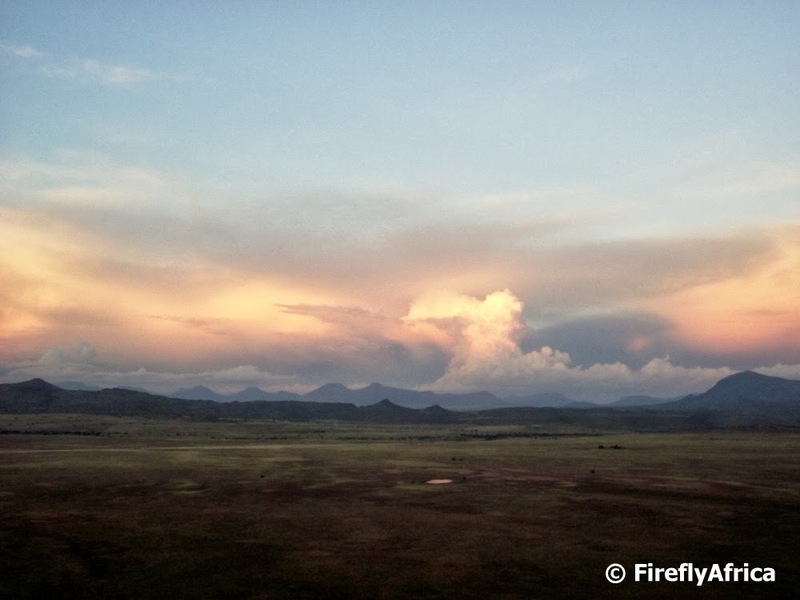 The Karoo is generally thought to be a very dry area with no water and in most cases this is true. But... And there is almost always a but. This isn't quite true everywhere in the Karoo. 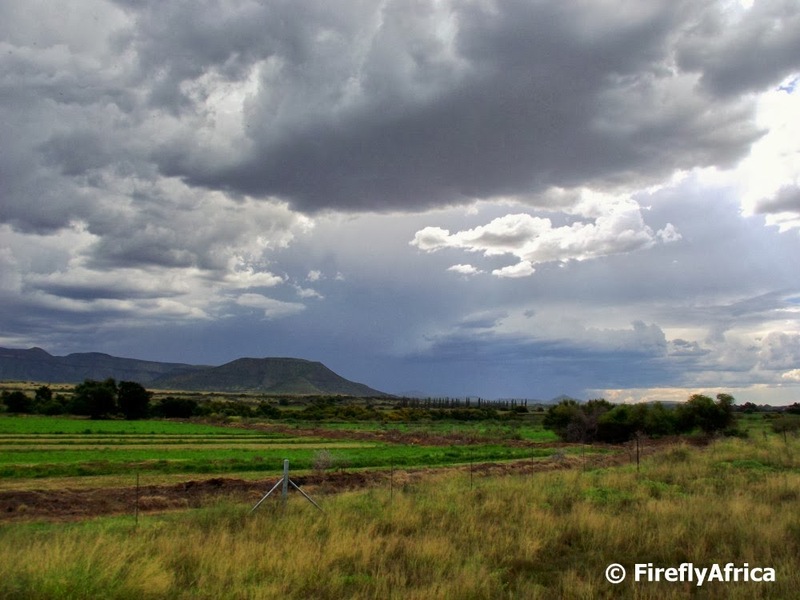 If you go and look at some places in the Karoo Heartland you will find that some parts of it is often very green. A guy like Alan Hobson of Somerset East can even find enough dams and rivers to do Wild Fly Fishing in the Karoo. Then there is the fact that two of the Eastern Cape's major rivers flow through the Karoo - the Sundays River and the Great Fish River. On my way to Cradock from Port Elizabeth I turned off the N10 at Middleton and found the chocolate coloured Great Fish flowing calmly under a low water bridge before going into it's next rapid in the background. I'm not a regular flyer. The first time I got to fly was in a Jac (similar to a Harvard), a flight I would never forget as the pilot did two rolls with this very nervous and acrophobic passenger in the back. 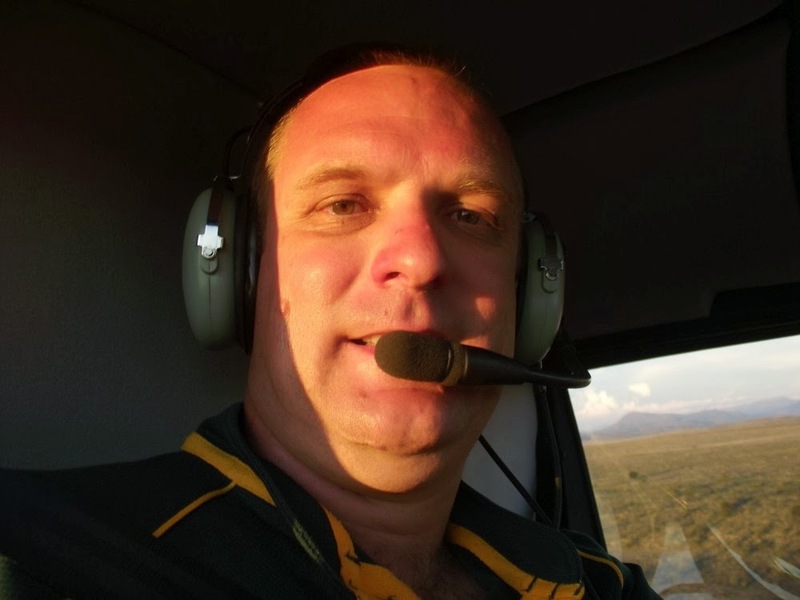 Since then I have become a lot better and over the last seven years got to fly a couple of times a year on passenger planes both around South Africa and internationally. All that said, I still haven't been up in a small plane again and have never had the opportunity to go up in a helicopter. I did a hot air balloon once, but never a helicopter. That was until a couple of weeks ago. I went to Cradock for a meeting and stayed at the excellent Tuishuise. 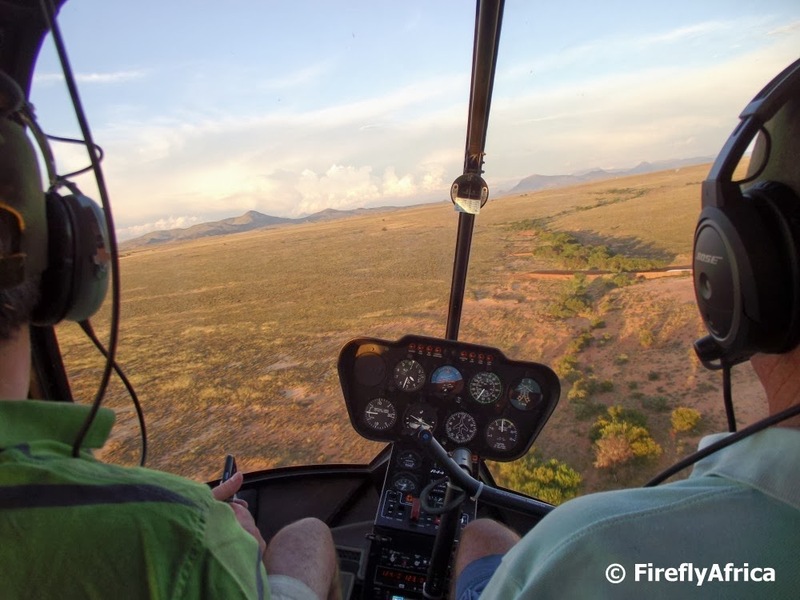 Lisa and David of Tuishuise invited me along for a late afternoon visit to a nearby game farm and while there Mike, the owner, asked if the guys wanted to go for a quick flip in his helicopter around the farm with him. Well, lets see. We thought about it for probably a quarter of a second.... if that long. Twenty minutes later we were up in the air and I was taking selfies. Ok, just one as proof that I was there. My camera was a bit slow to get any animal pics in the fading light, but the landscapes were irresistible. The sun was setting behind us and coloured the clouds on the horizon beautifully. 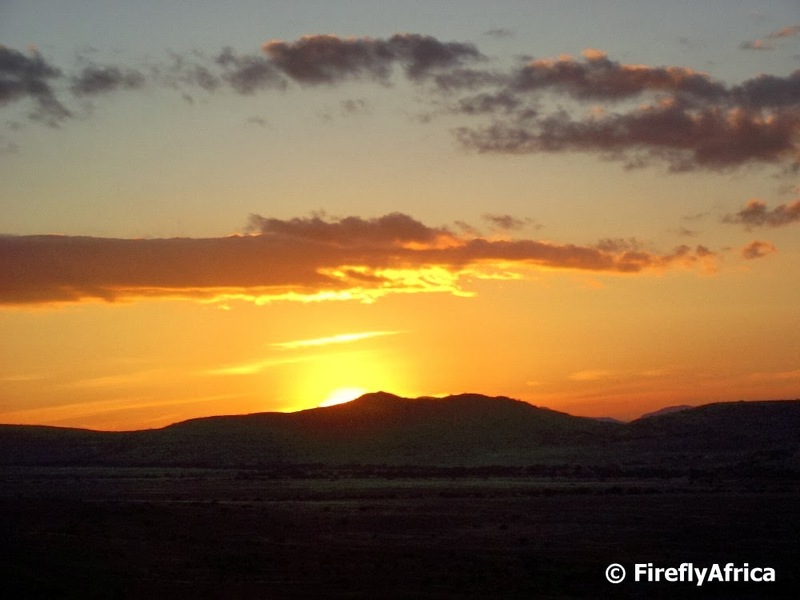 We also turned around just in time to see the sun set over the Karoo landscape in the west. What more do you want. But the experience was nearly over and we were heading back. 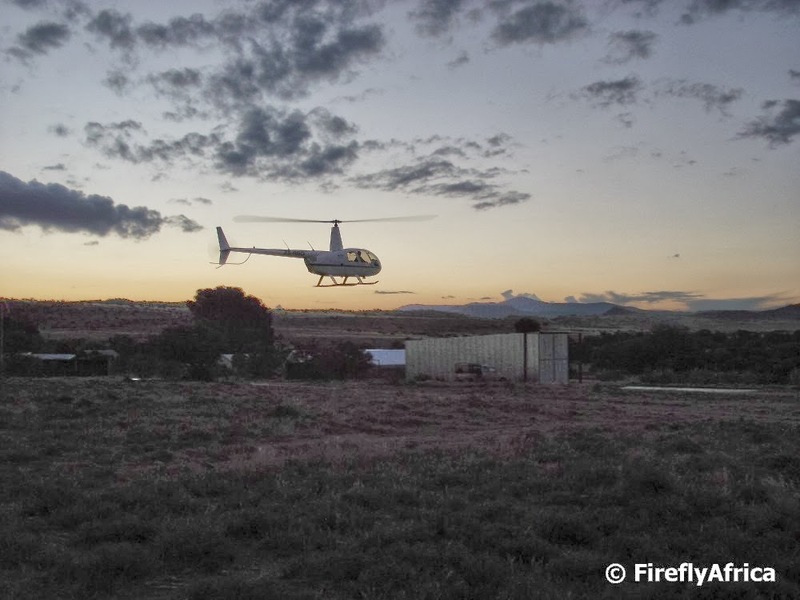 As the wind had come up while we were in the air, Mike dropped David and I off in the veld and took the helicopter in solo to land on the landing pad next to the chopper shed. Oh man, what an experience. One I will cherish and remember as much as the "flipping" Jac flight. 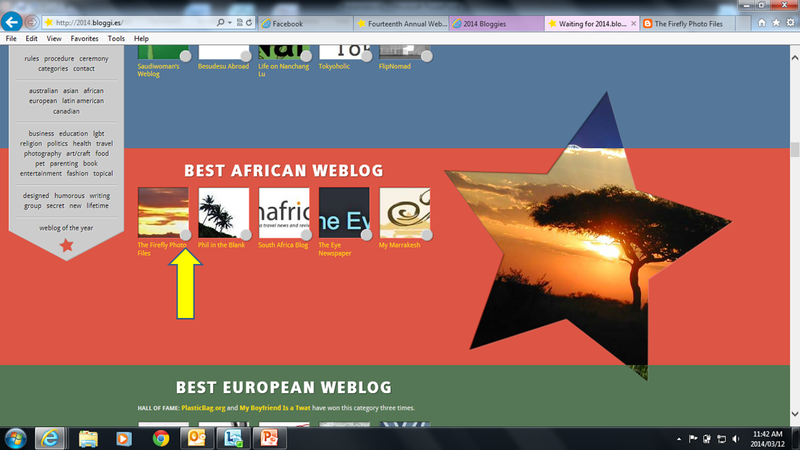 Imagine my excitement when I was told the other day that The Firefly Photo Files has been selected as one of five finalists as Best African Weblog in the fourteenth annual Weblog (Bloggies) Awards. This is where I would like to ask for some help from you. Public voting plays a major role in how the winner gets chosen and I need all of you as well as your spouses / partners / moms / dads / kids / uncles / aunts / grannies / friends / co-workers and anybody following you on social media to please go and vote. "How do you do it?" you ask. Well, here are 7 easy steps. 2. Scroll toward a bit to Best African Weblog. 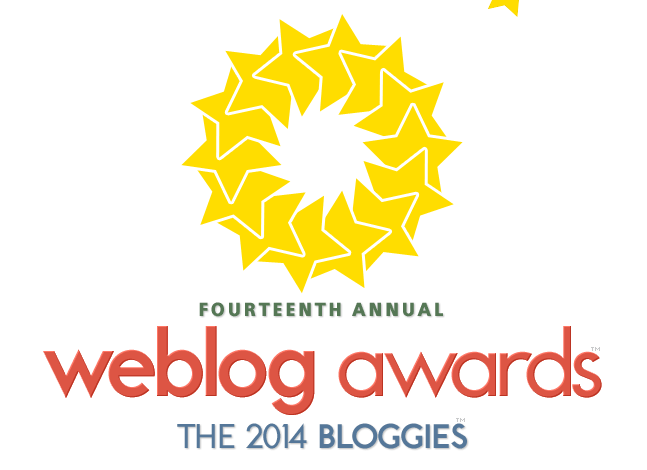 The order of the blogs changes, so it may be in a different order. 4. Click on the small round grey box at the bottom right of the thumbnail. 5. Scroll to the bottom of the page and submit your email information. Voting is open until 28 March so please check back March 31 for the winners! Only one vote is allowed per email address so if you have a couple please vote a couple of times. To those who decided not to go and vote, thanks for at least reading this far. For those who do vote, thank you so very much. For those who vote and get others to vote by sharing this post or just asking them to do so, you truly are my heroes. 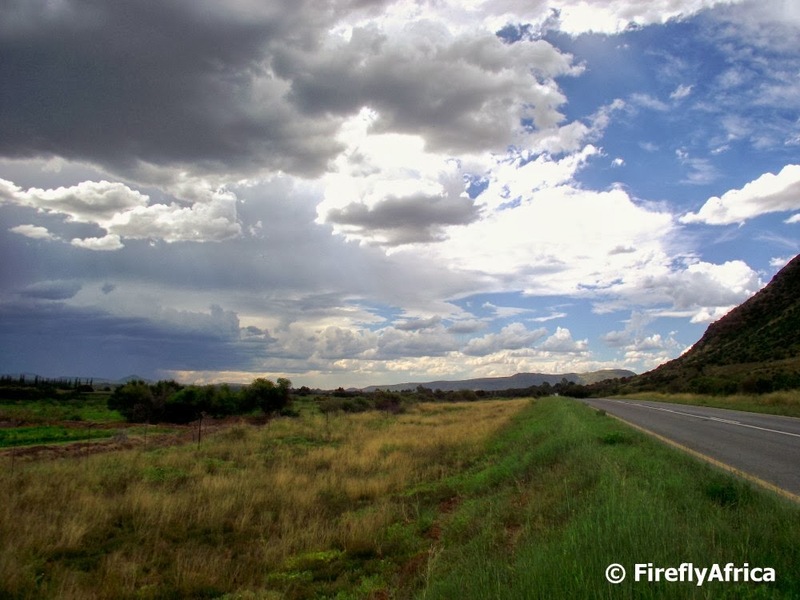 The Karoo is known as blue sky country. That means when the thunder clouds start to pack together after a hot day there is lots of sky to watch the approaching storm in. 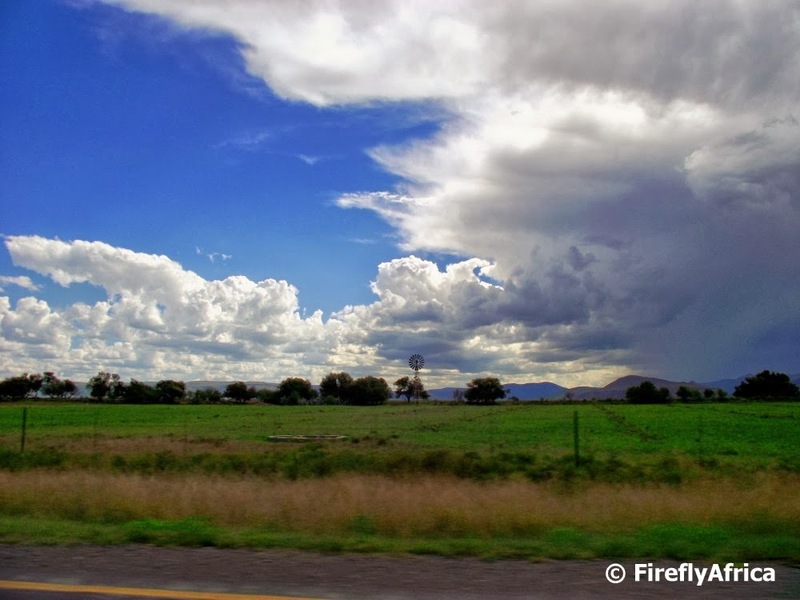 Like this one I witnessed just after leaving Cradock on my way back to Port Elizabeth. I can just smell the drops splashing down on the hot tar road again. Its one of my five favorite smells along with the smell of cut grass, fresh bread, the ocean and a damp forest. What's you favorite smell? I often wonder how many people who have visited Cradock would never have stayed over in the town if it wasn't for the Tuishuise. The Tuishuise on Market Square was built between 1840 and 1870 and housed artisans like harness makers, wheelwrights, smithies and carpenters who made a living from the horses, oxen and wagons passing through on their way north. Unfortunately by the early 1900's oxen and wagons where replaced by trains and cars and the artisans started to loose their livelihood. The reason the houses never really changed in style was because the people living there became too poor to knock them down and change them. In the early 1980's Sandra Antrobus, a local farmer's wife with a keen interest in antiques and historic buildings bought a couple of the old houses, restored them and started renting them out to visitors and tourists. Today those handful of houses has grown to 30 tuishuise and a hotel. The hotel on the corner of Market Street right next to the Tuishuise is the Victoria (Manor) Hotel which was built in 1840 and is one of the oldest surviving hotels in South Africa. The hotel was graced by many legendary South African figures like Cecil John Rhodes and Olive Schreiner back in the days. Today visitors can either stay in the hotel or one of the refurbished Karoo cottages (or Tuishuise) with personal hospitality like only found in small towns. Die Tuishuise are all furnished with antique furniture yet have all the amenities one would need from a self catering establishment. Meals, both dinner and breakfast, can be enjoyed in the hotel, where one of the local farmers used to ride his horse right up to the bar for his daily knerts. The horse by the way got served beer in a hubcap. I've now had the privilege (and it really is a privilege) to stay at Tuishuise twice, once with the family and once while on business. Its a great spot to just chill for a day or two while exploring Cradock and it's surrounds. Cradock has a number of historic and natural attractions to enjoy with the highlight being the Mountain Zebra National Park just outside the town. Plus the town has a couple of Geocaches to find, on being right on Market Street. South Africa is a popular tourist destination and visitors often just come here for the scenery and wildlife, leaving with so much more. South Africa has some of the most beautiful scenery in the world and the wildlife experiences are unequalled, but it's also about the people, the cultures, the food, the rural country side and the urban vibe. One thing that many people don't expect is how modern South Africa is, how you can go from a small village in the middle of nowhere to a big city with all the amenities you need. One thing always stays the same no matter where you go, and that is the people and their hospitality. The you who leaves South Africa won't be the same as the you who arrived. Enjoy this promotional video by SA Tourism. 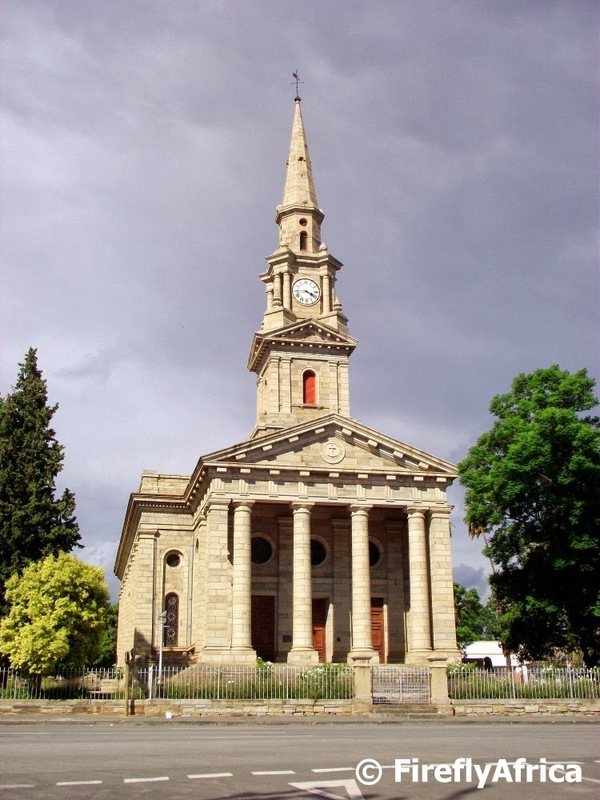 The Dutch Reformed Church at the top of Church Street in Cradock is probably this Karoo town's most imposing landmark. The first Dutch Reformed congregation in the town was established in 1824 and the church was the town's first. Paul Kruger, who went on to become the President of the Transvaal Republic, who was born on a farm near Bulhoek south of Queenstown in 1826 was christened (by a Welsh pastor) in the original church and his name appears in the register. The present building, the "Moederkerk" (mother church), as it stands today was completed on the same site as the first church in 1868 at an apparent cost of some £ 24 500 . The design was based on the ``St Martins-in-the-Fields" church in Trafalgar Square in London. An interesting fact is that during the Anglo-Boer War, the roof of the church was used as a look-out post by the British soldiers who occupied the town. South Africa's National Anthem is a combination of Nkosi Sikelel' iAfrika ("Lord Bless Africa" in Xhosa) and the previous national anthem, Die Stem van Suid-Afrika ("The Call of South Africa" in Afrikaans). The anthem as we sing it today has been in use since 1996 when it was released as the new national anthem of South Africa under the new constitution. 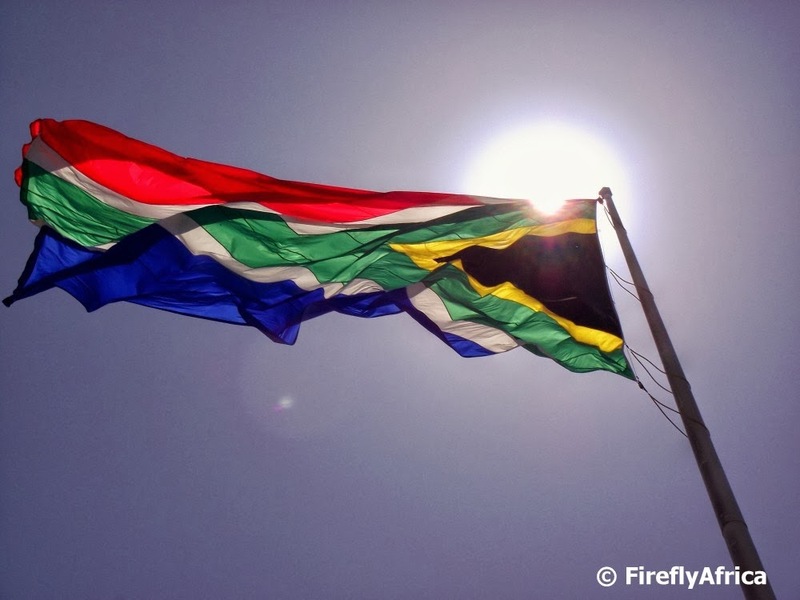 The anthem uses several of the official languages of South Africa. The first two lines of the first stanza are sung in Xhosa and the last two in Zulu. The second stanza is sung in Sesotho with the third stanza consisting of a section of the original South African national anthem sung in Afrikaans. The fourth and final stanza is in English and is also based on Die Stem van Suid-Afrika. 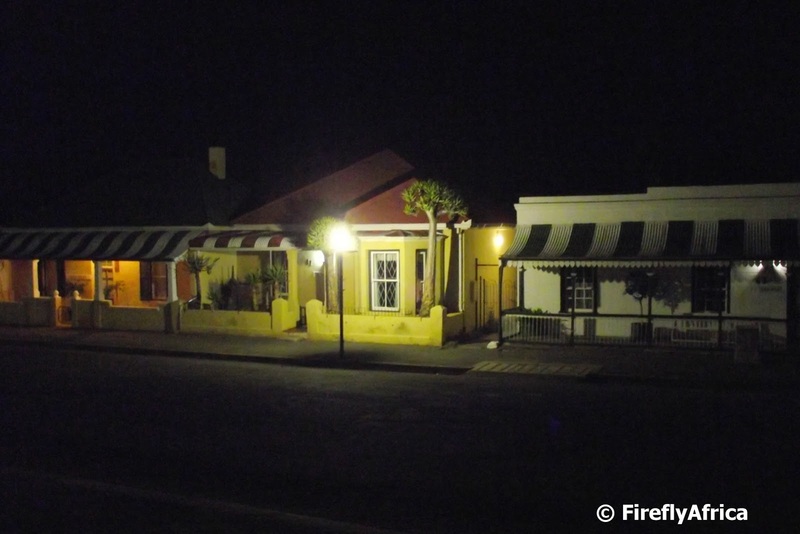 Cradock is one of the main towns in the Karoo Heartland and this year celebrates 200 years since being founded. 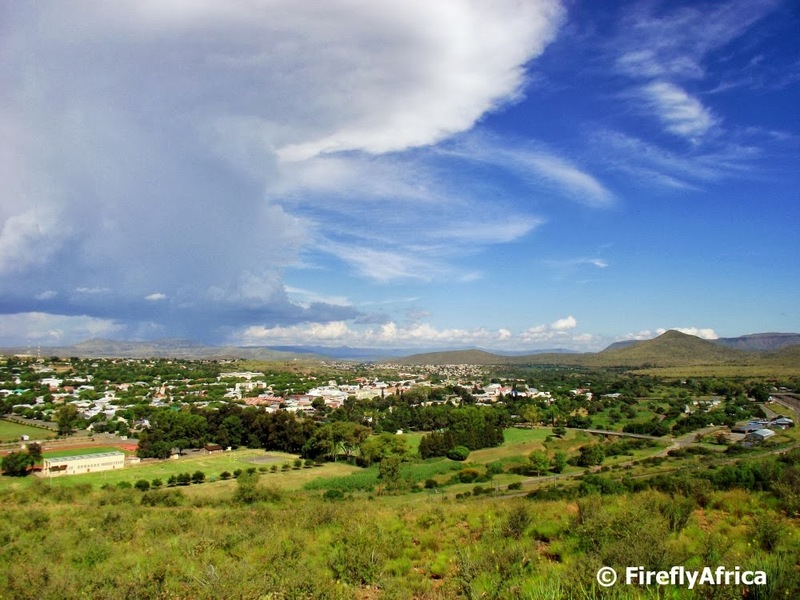 By the late 1700's Graaff-Reinet had been established as a magistrate district and Dutch farmers has settled in the area. In 1814 Sir John Cradock decided to build a series of forts along the lower Fish River and all the way up to present day Cradock to try to contain the Xhosa people to the East of the Fish River which by then had been proclaimed the boundary by the Government of the Cape. 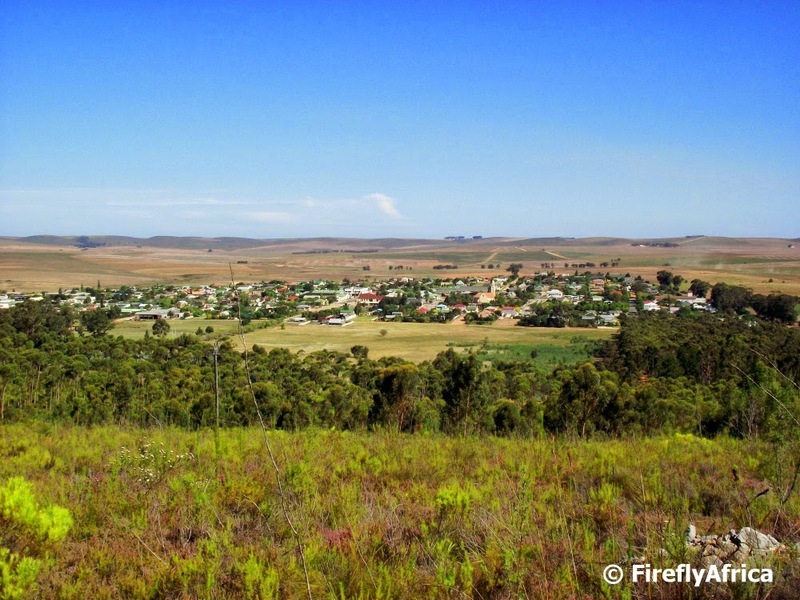 Although Cradock started as a fort it never saw any action and slowly developed as a town. In the early days the town was home to a number of artisans but today is very much central to farming in the district. The Karoo produces some of the best wool and mohair in the world and is a major meat supplier (lamb and beef) with the Karoo bush imparting that typical Karoo flavour to the mutton. 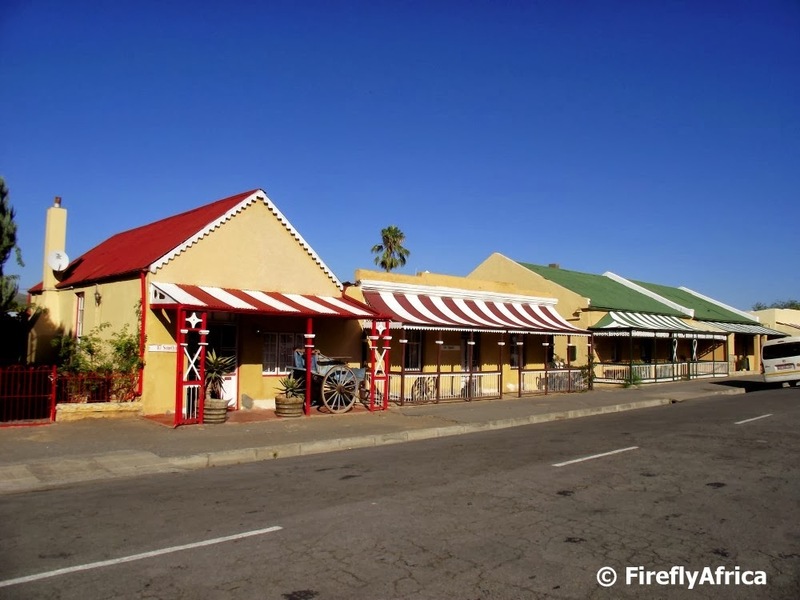 Tourism in the town revolves around three things, its history, the nearby Mountain Zebra National Park and the Great Fish River that flows past the town. 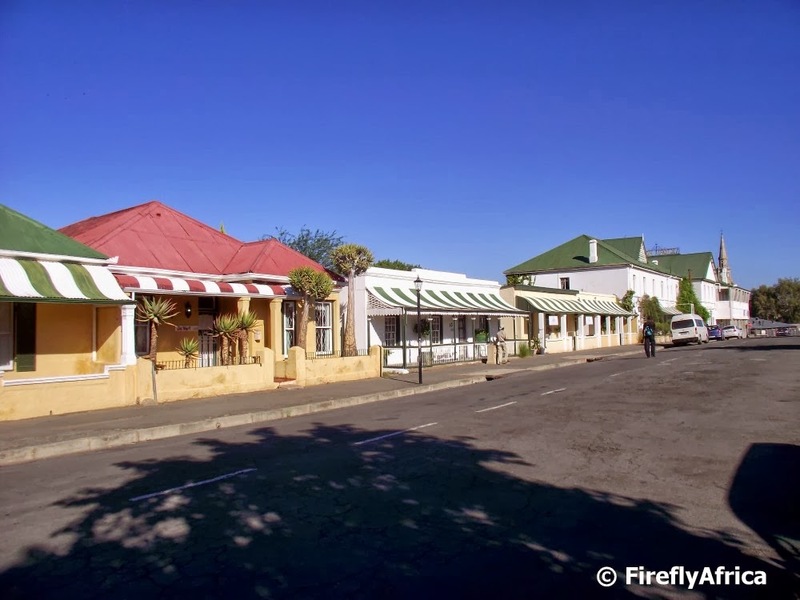 Cradock is also an ideal stop-over for travelers on their way to and from the coast. The picture of Cradock was taken from the summit of Oukop to the north-west of town.